The Consumer Financial Protection Bureau (CFPB) recently released new rules regarding mortgages. Their purpose is to combat the kinds of lending abuses that occurred in the past and that were, to a great degree, responsible for the big housing meltdown that began in 2007. The concepts behind these new rules are no debt traps, no surprises and no runarounds. To support this there are two new requirements: The Ability to Repay rule and Qualified Mortgages. How might these affect you? Before a lender gives you a mortgage it must determine that you have enough income and assets that you will be able to make your payments throughout the life of the loan. For example, the lender may now look at your debt-to-income ratio, which is your total monthly debt divided by how much you earn per month. 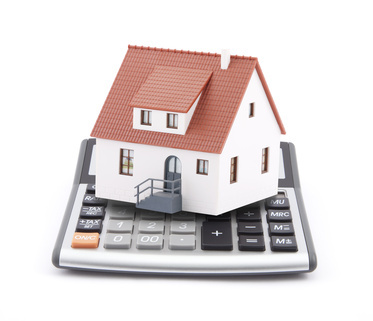 This must include the highest mortgage payments you would likely be required to make under the terms of the new loan. You can calculate your debt-to-income ratio simply by adding up all of your monthly obligations such as a student loan, credit card and car payments, utilities, housing costs and other recurring expenses and then dividing this by your monthly gross income. As an example of this, suppose that you earned $5000 a month and have $1000 a month in recurring expenses. In this case, your debt-to-income ratio would be 20%, which is very good. In fact, most financial experts say that your debt-to-income ratio should not be more than 30% and the lower the better. Lenders will now be required to document and verify all of your income, credit history, assets, debts, etc. This means that you will be required to provide more paperwork and it will take longer to process your application. In addition, underwriters will now be required to approve your application based on the maximum monthly interest charges you will be required to pay and not just low “teaser rates” that last for just a few months or a year or two before resetting at a higher number. Your debt-to-income ratio should generally be below 43% though this is not an absolute. The objective here is to make sure that you’re not taking on more of a mortgage obligation then you can afford. Banks will still be able to loan money to people whose debt-to-income ratio is greater than this depending on other factors such as a high level of assets that would justify the risk. But “qualified mortgages” can no longer include risky things such as terms longer than 30 years, interest-only payments or minimum payments that don’t keep up with the interest as your mortgage balance increases. This brief video explains more about a Qualified Mortgage and how this could affect you. Of the five factors used to calculate your credit score, the one that’s easiest to fix is your debt-to-income ratio. As noted above, this is your total monthly recurring debt divided by your total monthly income. If you have a debt-to-income ratio above 40%, you could pay down some of your debt, which would not only help your debt-two-credit ratio but would also give your credit score an immediate boost. In the event that you’re not in a position to pay down some of your debts, you might be able to talk one of your lenders into increasing your credit limit, which would have the same affect as if you had paid down your debt. The new rules from the CFPB also restrict what’s called “steering” or those practices that provide financial incentives to mortgage brokers or loan officers to push people into higher-interest loans they can’t afford. Unfortunately, this was a practice that was much too common in the past and helped lead up to the housing bust. Another good change is that upfront fees charged by lenders can no longer be more than 3% of the mortgage balance. This includes origination fees, points paid to lower mortgage interest rates and title insurance. It would appear that lenders aren’t too worried about the new rules. The fact is that everyone in the industry has been preparing for this change for months. These new rules could gum up the works to begin with and will slow down mortgage loan processing because it will require additional scrutiny on the part of the underwriters. But this really represents just a codification of things that are basically already in place. An important thing that’s not in the rules is that there is no minimum down payment or minimum credit score requirement. The “qualified mortgage” as such is not a one-size-fits-all approach. The reason for this is to help ensure that first-time homebuyers can still come to the table. If these new rules were to mandate a minimum down payment of, say 10% or 20%, this could eliminate those first time buyers that would have a tough time raising that much money. Plus, the lack of a credit score requirement will allow lenders to loosen tight underwriting standards in the future should conditions warrant. For now, Fannie Mae and Freddie Mac will still back most loans and, with a few exceptions, they probably won’t approve applicants who have scores below 620. As you can see from this, your credit score plays an important part in whether or not you will be able to get a mortgage. If you haven’t seen your score recently you should get it, especially if you’re applying for a mortgage. You can get your score by going to the site www.myfico.com and paying $19.95 or you can get it free by signing up for a trial subscription of its Score Watch service. You can also get your score free from any of the three credit-reporting bureaus – Experian, Equifax and TransUnion. However, you may have to sign up to try one of their services to get it free. This can be avoided by going to one of the independent information sources such as CreditSesame or CreditKarma where your “free” score will actually be free. Plus, these independent sources offer useful information beyond just your credit score including how much you owe on each of your credit cards and on your personal or auto loan(s) – if applicable. As you can see from this, 620 would be on the very bottom of an Average or OK score. To put this another way, you must be viewed as having an Average or OK score in order to get a mortgage these days and, of course, the higher your score the better. The lender will require you to provide a lot of documentation to support your income, assets, debts, etc. There is also good news. You may be able to get a mortgage by putting down as little as 5% down and your fees, including, points paid to your lower mortgage interest rate, title insurance, origination fees and so forth will not exceed 3% of your mortgage balance.